I want to begin this week noting that our prayers right now are certainly with the people of Japan as the country begins to recover from last week’s devastating earthquake and tsunami. All of us are very alarmed to see that even a country such as Japan, which has done so much to protect its citizens from the devastation of earthquakes and tsunamis by very careful building codes, early warning systems, civil defense drills, etc., has endured such devastation. On top of that, the destruction visited upon the nuclear reactors have now caused dangerous radiation to be released into the atmosphere. From all reports, the Japanese sense of discipline, community and civic-mindedness have been very helpful in helping them endure this crisis. We have authorized a second collection in our parishes which we will send through Catholic Relief Services. We are asking pastors to take the collection either this weekend or next. It certainly is an alarming situation and we pledge our continued prayers and support to the people in Japan in this terrible time of need. 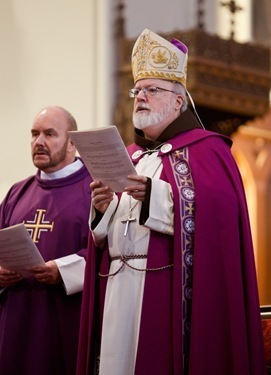 This past Sunday, we had our annual Rite of Election at the Cathedral. 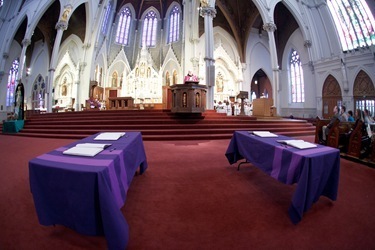 Each year, on the first Sunday of Lent, we celebrate the Rite of Election with the catechumens and candidates who will be received into full communion in the Church during the Easter Vigil on Holy Saturday. 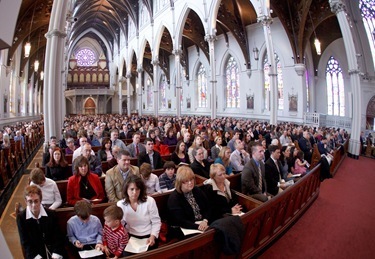 In the almost 200 cathedrals throughout the United States about 150,000 people each year participate in the Rite of Election in preparation for being received into the Church at Easter. 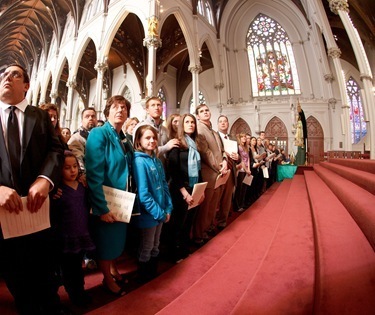 In Boston, we had two ceremonies that day, and the cathedral was packed both times with the candidates, their sponsors and their families. It’s always a very beautiful way to begin Lent, which for all of us is a baptismal retreat as we prepare to renew our baptismal promises along with the catechumens who will be baptized on Holy Saturday. 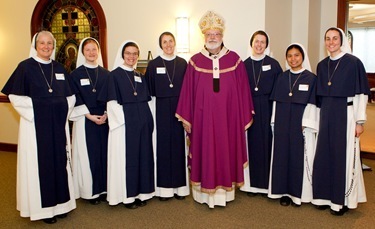 Today it is a special joy to say welcome to our new Brothers and Sisters in the Catholic Church. 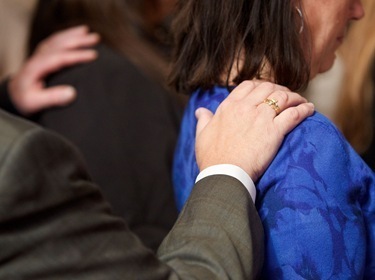 In the 200 Cathedrals of the United States, the bishops are gathering with this year’s cohort of new Catholics, adults who have been led by the Spirit to join in our community of faith. There are about 150,000 who will participate in the Rite of Election today in the United States. We welcome you and thank you for responding to the call of grace that leads you to this commitment to discipleship in the Catholic Church. We are more than one billion Catholics in the world. Don’t worry; you won’t have to learn all the names. We come in all sizes, shapes and colors, speaking every language imaginable. Catholic means universal and that attribute certainly describes our Church and betokens God’s universal love which recognizes no boundaries or divisions, but simply one family. It is as a family, a community that we live this season of Lent together. We began by putting ashes on our heads as a sign of our fragility and mortality. 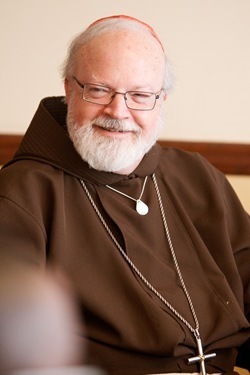 It is a reminder that life is a pilgrimage, a journey, and someday life here ceases and we shall be called upon to give an accounting of our life and stewardship. Lent is an opportunity to refocus our lives on the call to discipleship and to deepen our conversion to the Gospel message — a chance to clean up our obituary. Prayer, fasting and almsgiving are the Lenten activities that help us to refocus on God and deepen our spiritual conversion, embracing God’s amazing grace and leaving sin behind. The word Lent is an old four letter Anglo Saxon word. Our four letter words are the strong ones… love, hate, faith, hope, life, death and of course our cuss words. Lent means springtime. The days grow longer, the light dispels the winter darkness and nature comes back to life. 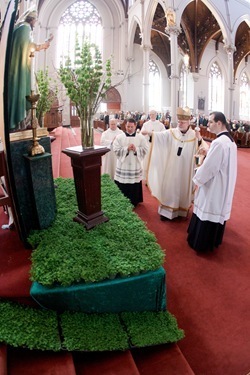 Lent is to be a spiritual springtime — New life, rebirth… light and warmth again. The early Church celebrated but one feast, Easter, and each Sunday the New Sabbath became a mini Easter, day of the Resurrection. It was probably the Council of Nicea in 325 that formalized the 40 days of prayer and penance as a preparation for Easter. It is the same council that wrote the profession of faith that we pray at Sunday Mass and that is used by various Christian Churches. 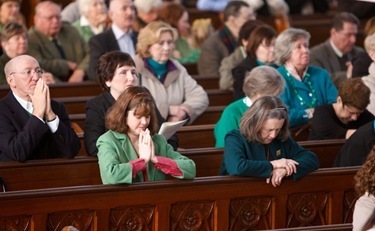 Lent has become a very important part of our lives as Catholics. It is a baptismal retreat of forty days, harkening back to Jesus’ 40 days of prayer and fasting. 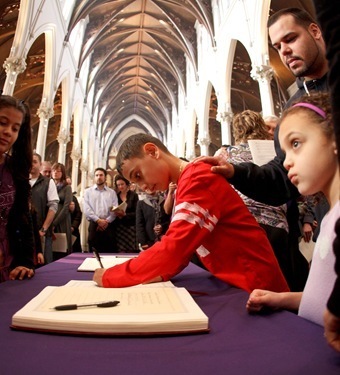 On Holy Saturday the catechumens are baptized and all Catholics are invited to renew our Baptismal promises at the Easter Vigil. Likewise, those being admitted to full communion will make their profession of faith and receive Confirmation and First Eucharist. In the first centuries, the bishops did almost all the Baptizing. 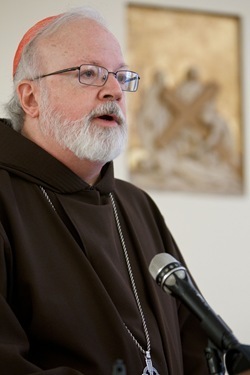 What remains of that custom is the Bishop presiding at most Confirmations and at the Rite of Election to indicate the unity that binds all the believers into one community. In the Acts of the Apostles Peter entered the home of Cornelius and baptized him and his entire household. The Church has baptized children born into the families of faith who made the baptismal promises on behalf of the children and commit themselves to be mentors in the faith as those children grow toward maturity. 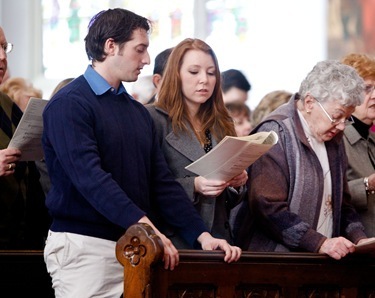 But the Church also has a tradition of baptizing adults or receiving adults into full communion. Oftentimes these converts bring a great spiritual energy into our faith community. There are so many examples: Sister Elizabeth Ann Seton, Dorothy Day, Cardinal Newman and so many others. We welcome you, our new Catholics and thank God for the spiritual gifts that you bring to our faith community. We are also grateful to the priests, deacons and parishioners who have accompanied you on this journey. In the Gospels, Jesus describes Himself as a Shepherd and as a Bridegroom. These are relational terms and point out Jesus’ close relationship with the Church. There is no Shepherd without the flock. There is no Bridegroom without the Bride. Jesus is always the Bridegroom, never the widower. He does not exist separate from His Bride the Church. 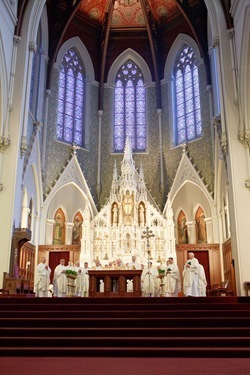 As members of Christ Body the Church, we have a personal vocation, a call to holiness in a particular state of life, married or single, priests or religious brother or sister. We are also called to be part of a communal mission to spread the Gospel, to do the works of mercy, taking care of sick, the homeless, feeding the hungry and working for a more just society where people are more important than money and where the poor and defenseless are cared for. Discipleship is lived in community. I would encourage our new Catholics to volunteer in the parish, to become involved in the various ministries and works of mercy that are carried on in your parish. I also want to encourage you to continue learning about the Catholic Faith and the Church. Our presence in the media, our diocesan newspaper The Pilot, our website, Catholic television, Catholic radio and even my blog can help you to continue to learn about the Church. Disciple means student. We have much to learn. It’s not just a matter of information; it is about discovering how much God loves us and how we can live our lives according to God’s holy will. There are many people who are searching for God. We all have the obligation to share the Good News with our brothers and sisters. 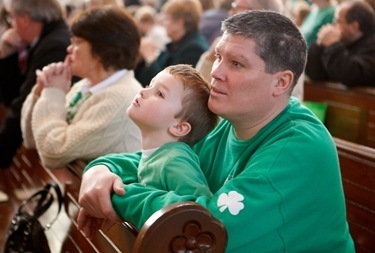 The Archdiocese’s Catholics Come Home project is to invite people to return to our church or to join if they do not belong. I am hoping that this initiative will remind all of our Catholics that the Church exists to evangelize, and that each and every one has a duty to be a disciple-maker. Being a disciple of Jesus carries with it a responsibility for the Church and to spread the Good News. Those of you who are sponsors or godparents I want to ask you to be faithful to your commitment to help these new Catholics to grow in their understanding and participation. Mentoring someone in the life of faith is a very great responsibility and a privilege that will bring you many blessings. Our Lent will be a success only if we have a game plan, to have time and space for God in prayer each day, time to reflect on the scriptures and sacrifices that will allow us to identify with the millions of people who are hungry, homeless or sick. What we save by spending less on creature comforts and entertainment we might use for the corporal works of mercy. As Catholics, the Sunday Eucharist is the center of our spiritual life. It is there that we gather as a family to fulfill Jesus’ command, “Do this in memory of me.” There we are nurtured by the word of God, the bread of life and the witness of our brothers and sisters in the faith. It is there that we find the strength to live the commandment of love and fulfill the mission that Christ has entrusted to us. 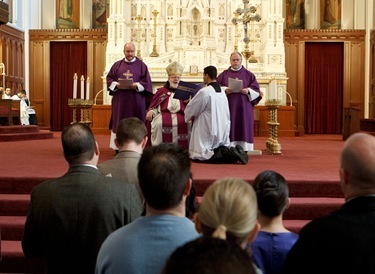 Faithful discipleship in the Catholic Church means being faithful to Sunday Mass. 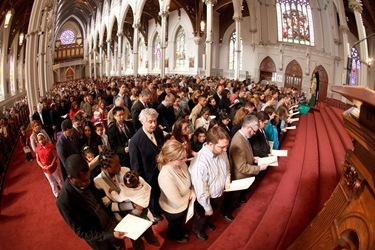 Once again let me welcome all of our new Catholics to this Rite of Election – and assure you of our prayers as we journey together toward Easter. 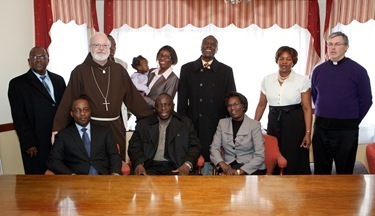 In between the two Rite of Election ceremonies I met with the newly elected leadership of the Uganda Catholic community. Boston is home to the largest Ugandan community outside of Uganda. 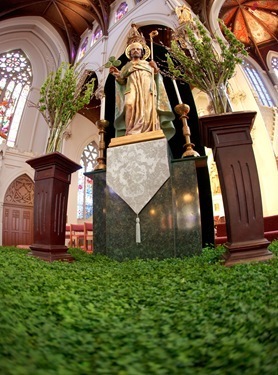 Mass is celebrated in Luganda, one of the native languages of the country, on Friday evenings and on the last Sunday of each month at St. Mary Parish in Waltham. The new leaders, accompanied by their chairman, Henry Ndawula, and Father Michael Nolan, met me to share news of how God is blessing their community here in Boston. 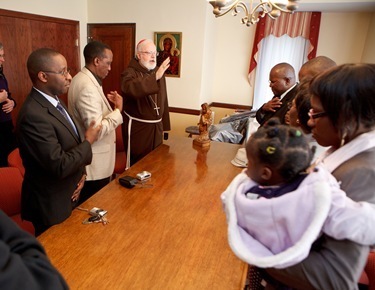 I gave them my blessing and I extended it to their families and all the Ugandans in Boston. 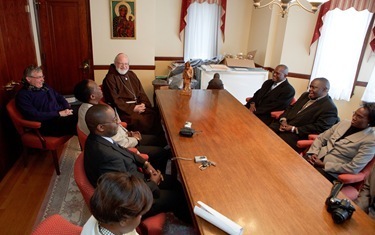 Our visit allowed me to tell them that I had just received word from Bishop Callistus Rubaramira of Kabale Uganda accepting my invitation to celebrate the Uganda Martyrs Feast in Waltham on June 12. 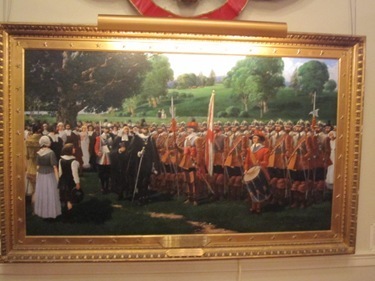 Andreas Widmer, a former member of the Swiss Guard, accompanied me to a reception Tuesday offered by the Ancient and Honorable Artillery Company of Massachusetts, which was started in 1637 as a citizen militia to defend the British colonies. Over time, the group has become primarily social and ceremonial and today serves as the honor guard to the Massachusetts governor. Four presidents — James Monroe, Chester A. Arthur, Calvin Coolidge and John F. Kennedy — have belonged to this group. 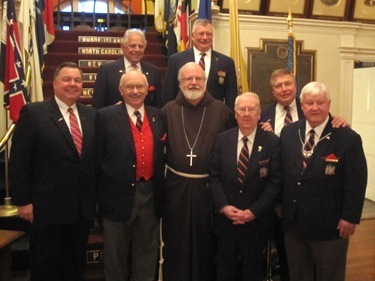 They travel around the world and represent Massachusetts and the United States to different military orders. 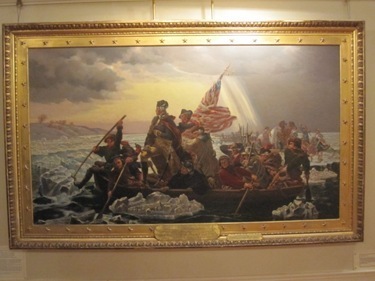 The reception was for the consular corps, and there are 21 diplomats stationed in Boston who were part of the reception. The company is headquartered at Faneuil Hall, which has been its home since 1746. I was somewhat amazed because I have been in Faneuil Hall so many times in the auditorium, but I have never been upstairs. Peter Faneuil, who financed the building of the hall, was a member of the Ancient and Honorables, and when he gave the hall to the city, his only requirement was the top floor be reserved for the group. They have a museum up there, which is very interesting. It houses relics of every war in which the United States has been involved during its history. It also gave me an opportunity to express condolences and sentiments of solidarity to the consul general of Japan, who was there. 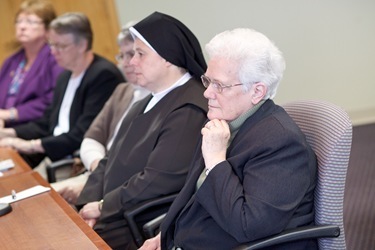 The Sisters of Life were here at our Pastoral Center Wednesday to give a workshop that Marianne Luthin in our pro-life office organized for the directors of the pro-life offices in New England, which meets here periodically. 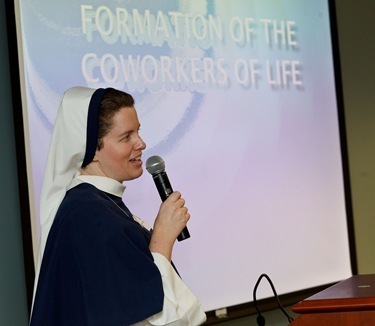 The sisters are wonderful apostles for the Gospel of Life and we were so happy to have them here. 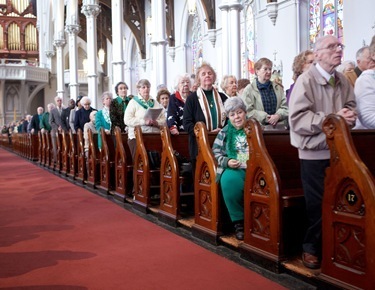 They came to the noon Mass, which was standing room only. As I told the people, you can tell it is Lent now! Afterward, we had lunch and a talk by the sisters. Mother Agnes Mary Donovan, who was their first Superior General, and some of the sisters were here. They are stationed in New York and Toronto and, of course, we’re urging them to come to Boston. Also that day, we had our gathering of the superiors from different communities of women religious. The meeting gave us an opportunity to talk about pastoral planning, Catholic education and some of the initiatives going on in the diocese right now. 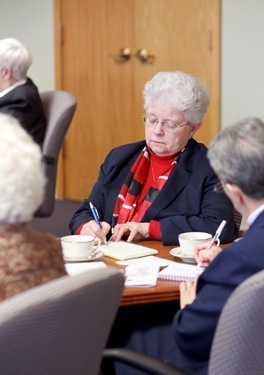 Sister Marian Batho, our delegate for religious, did a very good job organizing the group. 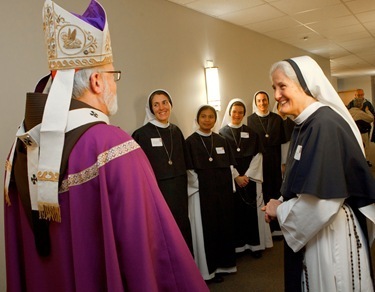 We are very grateful for the presence of all the religious women in the archdiocese, who, over the last two centuries, have made incredible contributions to the life of the Church and whose witness, ministries and prayer are a great source of blessings and consolation for all of us. 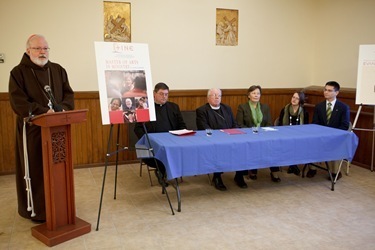 Thursday was the Feast of St. Patrick and we began the day by hosting a press conference to announce the opening of the new Theological Institute for the New Evangelization, TINE, at St. John’s Seminary. 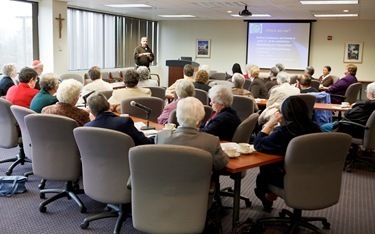 This new institute consolidates and expands the Seminary’s formation offerings for laypersons, deacons, and religious. 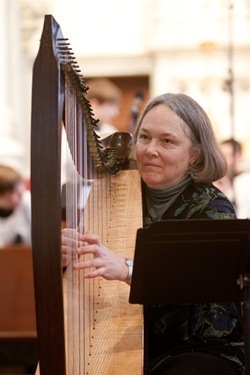 TINE includes the well-established Master of Arts in Ministry (MAM) degree, as well as the Certificate programs in catechesis and apologetics the Seminary has made available in the last two years. 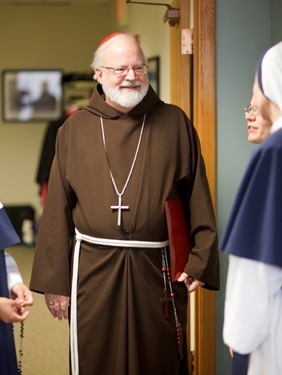 I was pleased to announce the Seminary’s newest program, the Master of Theological Studies for the New Evangelization (MTS), an innovative academic degree to equip people to communicate the beauty of Christ in family life, the workplace, and culture. The MTS will take its place beside the MAM degree within TINE. In my remarks, I mentioned that a few months ago, the Holy Father initiated a new discastery dedicated to the New Evangelization and has called for a synod next year on the New Evangelization. 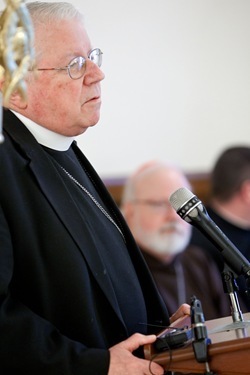 I was happy to be joined at the press conference, which we held on the lower floor of the Cathedral, by St. John’s rector Bishop Arthur Kennedy, Vice-rector Father Christopher O’Connor, Aldona Lingertat of our MAM program, and David and Angela Franks, who are faculty members of the seminary and the MAM program. 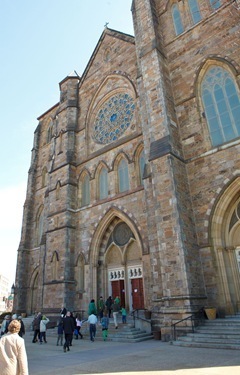 Afterwards, I went upstairs to celebrate our noon St. Patrick’s Day Mass. 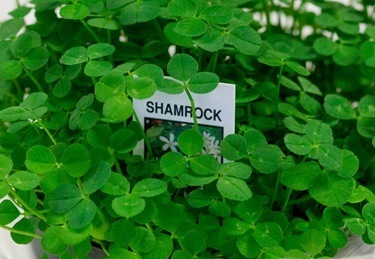 For us, St. Patrick’s is a very special day because it is our patronal feast day. 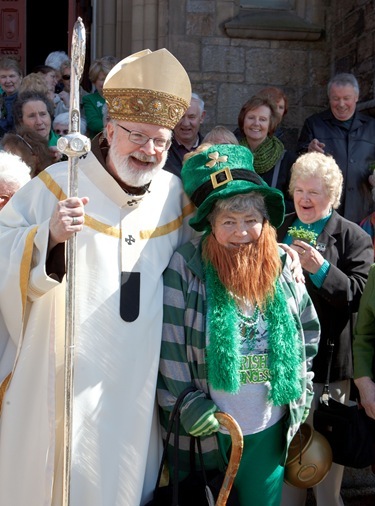 As I said in my homily, St. Patrick is not our patron because he is Irish — he is not — but because he was a great missionary and a great apostle. 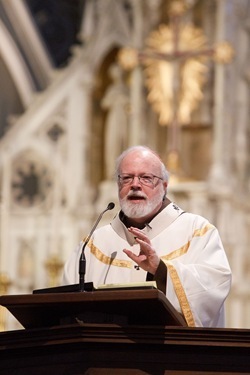 He very courageously brought the Gospel to the Irish people and the Gospel transformed the culture of fear and violence and death into a culture of life and service and sense of mission. 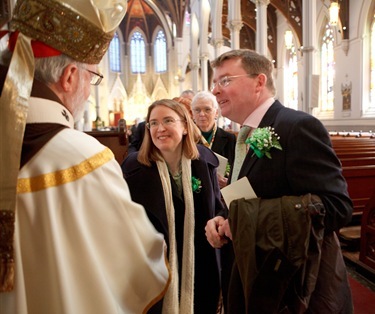 Irish consul Michael Lonergan was there, along with Boston Police Commissioner Ed Davis and Ambassador Ray Flynn. 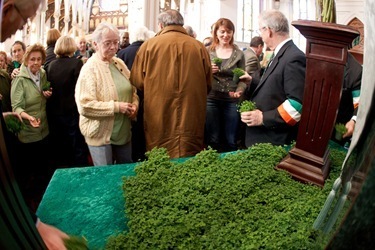 We also blessed the shamrocks during the Mass, and distributed them to those who attended. 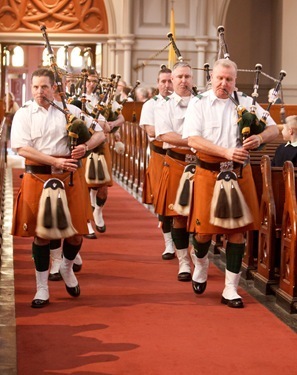 We’re very grateful for all those who prepared for the celebration at the Cathedral. 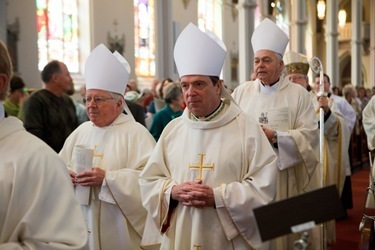 We were happy to have Auxiliary Bishops Arthur Kennedy, Robert Hennessey and John Dooher here, as well as so many priests, deacons and seminarians. The Archdiocesan Choir School from St. Paul’s sang for us during the Mass.